Posted by Adrienne Lally on Thursday, July 16th, 2015 at 1:21pm. Know your home's value. Before you choose a policy, it is essential to establish your home's replacement cost. A local builder can provide the best estimate. Don't just look at price. A low price is no bargain if an insurer takes forever to service your claim. Research the insurer's record for claims service, as well as its financial stability. If you would like a free, no-obligation insurance review, you can reach Bradley here. Also, if you want more great real estate information, check out our radio show on Saturdays at 11 am on KHVH AM 830 and Thursdays at 12 pm on KAOI AM 1110. As always, give us a call or shoot us a quick email if you need real estate assistance of any kind. We would love to hear from you! My Dog Bit Someone. Does My Homeowners Insurance Cover That? Adrienne: And welcome back to our video blog. Attilo: Today we have Bradley Maruyama with Allstate Insurance. Adrienne: So Bradley, tell us about your Allstate team. Bradley: Well, we have three locations: one on Beretania Street, one in Mapunapuna, also known as Salt Lake, and one in Kauai. We have seven licensed agents and I’ve got two customer service representatives that make sure that you’re always having a great experience with our team. Attilo: So Bradley, tell us, what differentiates your insurance company from the others? 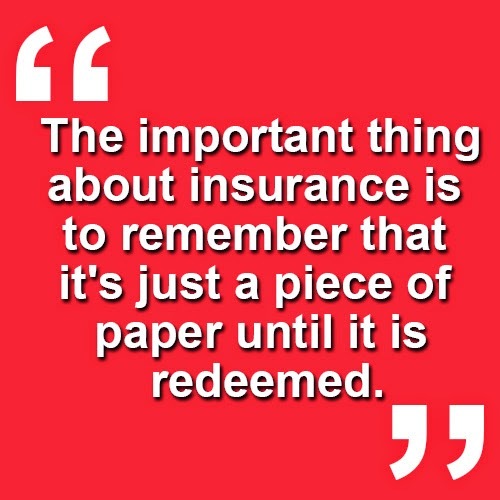 Bradley: What I think the most important thing about insurance is it’s just a piece of paper until you redeem it or turn in a claim. That’s what’s called the moment of truth, and we want to make sure that when you’re paying premiums that me, as an agent, comes through when you have that disaster. Adrienne: Alright, so check out below for the three main things a homeowner should know about their insurance. Attilo: And remember, you can contact Bradley’s Allstate team at the link below for a free, no obligation insurance review. Adrienne: We trust Bradley’s Allstate team with our own personal insurance and you know what? We think you should, too. Attilo: Remember to listen to us every Saturday on AM 830, KHVH at 11:00am on Oahu and every Thursday at 1110 AM on KAOI at 12 noon on Maui, to the Team Lally Real Estate Show, home of the guaranteed sold program. Adrienne: And you can listen to the last show Bradley was on at the link below. He had some great tips.